Caching With The Doctor | Warped Factor - Words in the Key of Geek. This month Warped Factor Towers has its beady eye on the Seventh Doctor, Sylvester McCoy. Now I don’t claim to be the world’s greatest Whovian, I love the show but don’t bother with much of the rest of it, and, to be honest, I got sick of McCoy as The Doctor really quickly so I stopped watching. But when the call went out for Seventh Doctor stories one of the episodes mentioned was “Delta and the Bannermen”. I don’t know much about that episode, in fact I've never watched it, but I do know something about it. I know where bits of it were filmed. 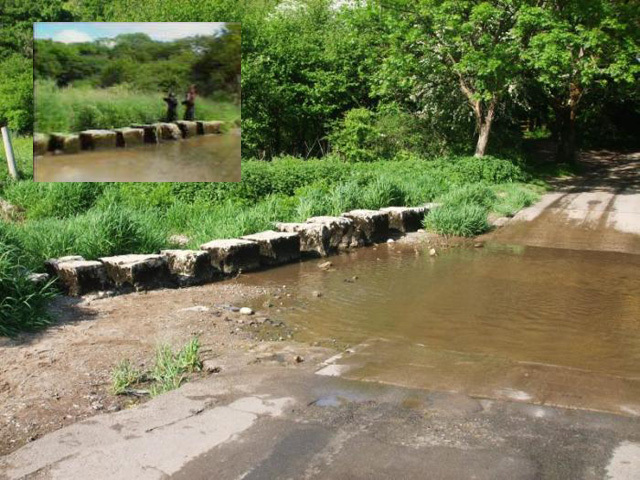 The reason I know where it was filmed is that I am a geocacher. You see I may not be the greatest Whovian, but I am Queen of the Geeks (well a Duchess at least). Scrap away one layer of geekiness and you’ll just find another. If you've never heard of Geocaching, it’s an activity where we, to borrow a quote, “use $6million worth of military equipment to go find Tupperware hidden in the woods.” The basic reality is that you hide a cache (a water tight container), get the coordinates from the GPSr and put them on the internet (I use Geocaching.com, but there are other sites), then other geocachers pick up those coordinates and go find the box, put their name on a logbook in the cache and re-hide it for others. Yeah, I can hear some of you screaming, “What’s the point of that?” Well the point is it can be fun (puzzle caches in particular get the old brain cells going) and it gives you a reason to go for a walk (or climb, or wade, or paddle, all depends on the cache), and geocaching will take you to places you’ve never been before. It’s certainly shown me parts of the country I would never had found had I not discovered the activity. A few years ago I started a series of geocaches called Who Was Here, all based on locations where Doctor Who has been filmed. 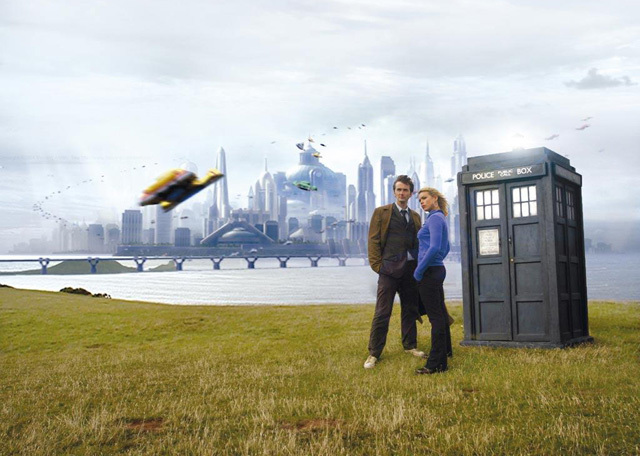 I started with Who Was Here 1: New New Cache, which is where the Tennant and Rose episode “New Earth” was filmed, specifically when The Doctor and Rose were enjoying the sun on the outskirts of New New York and looking across the Hospital. If you look, you can just make out Worms Head in the episode. A later cache was Who Was Here 5: Delta and the Cacherman, which is one location where “Delta and the Bannermen” was filmed. 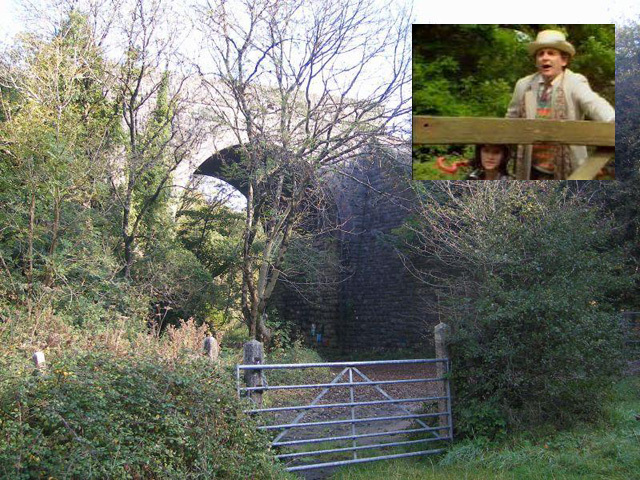 There’s also another, set up by a different cacher, called Who Was Here 16: Delta and the Bannerman, which is a few miles away on the other side of Cowbridge. Now while I started this series, it’s open for anyone to add to. I administer the numbers, but caches can go anywhere that Doctor Who has been filmed, anywhere in the country. Actually they could be anywhere in world – yes it is a worldwide activity – so if an overseas cacher had a location and wanted to place a cache I’d be fine with that. If you are already or at some point become a cacher, and you have a location near you that’s not covered, why don’t you place a cache and add to the series? So far there have been 35 Who Was Here caches, though not all of them are still live. Who Was Here 7: Silence in the Cache, had to be archived when major refurbishment was undertaken of the building where it was placed. But there are still active caches out there which will help you visit some of the locations where Who has filmed. Most of the Who Was Here series are based around South Wales, since that is not only where the latest few series have been filmed, but also where I live. And they aren’t just middle of nowhere places, they include city centres, Swansea particularly but London and Cardiff too - yes some caches are easier to get to than others. Of course, there’s wide scope for expansion. The locations cover all series and all doctors, so Tom Baker filmed in Paris, Tennant filmed in Tunisia, McGann filmed in Vancouver, and many others, so there could be a Who Was Here anywhere. We’re all geeks here who know how to use a computer, so why not go to the geocaching site, and hunt down your nearest Who Was Here cache. The site will give you plenty of hints and tips on how to start, and once you’re ready, why not just go for a stroll with The Doctor?